"the Bee. 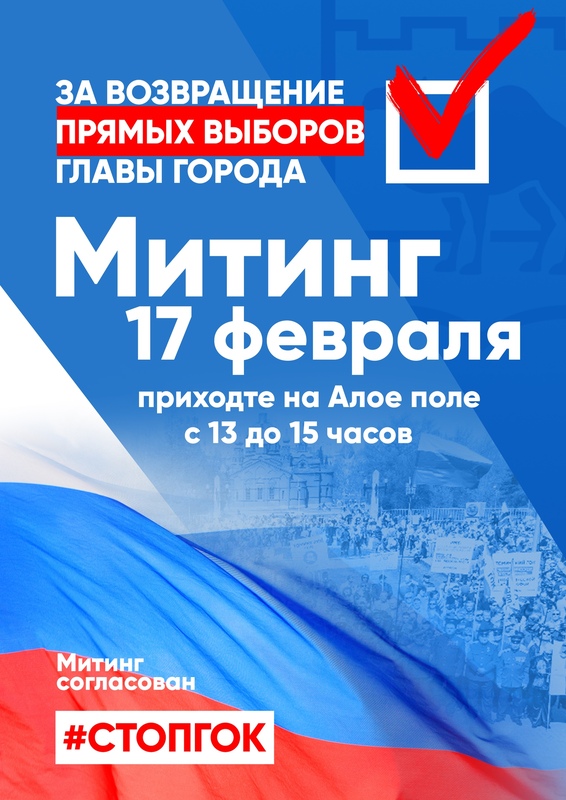 News Chelyabinsk" misleading "the Administration of Chelyabinsk has coordinated the rally for the return of direct elections of the mayor, it will be held February 17 at the Crimson field. This was reported in his account on facebook the promoter Yaroslav Scherbakov. “the city Administration agreed to hold a meeting of «For the return of direct elections of the mayor of Chelyabinsk” February 17, Sunday, from 13:00 to 15:00 on the Scarlet field, near the monument to Lenin. This location was specified in the notice as an alternative to the post office on Kirovka. The administration was worried that this place might not accommodate all who wanted to participate, so I offered to stay at the Crimson field, I agreed. Now, the main thing for all of us to not disappoint and not to deceive their expectations», - wrote Mr. Shcherbakov. According to the applicant, the organizing Committee of the rally besides it has entered ecologist Andrew Telefon and one of the leaders of the movement «Stop mining” Vasily Moskovets. We will remind, the head of the regional branch of the party «Apple» Jaroslav Shcherbakov Vasily Moskovets filed papers to contest for the election of the head of Chelyabinsk. Earlier Yaroslav Scherbakov demanded to change the composition of the selection Committee for membership in the «United Russia» some candidates and most members of the Commission. The first meeting of the competition Committee is scheduled for February 22. It will review applications from 16 Chelyabinsk, who wished to compete for the position of mayor."